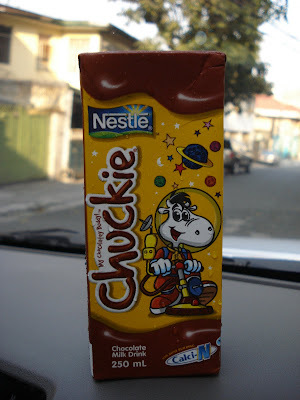 Grocery Pick : Chocolatey Chuckie! How can I resist this chocolatey goodness in a handy tetra-pak? I chilled it the moment I got home and enjoyed it with Paul this afternoon. How about you? Share your Top 5 grocery picks! Nestle Chuckie is available in almost all of your favorite supermarkets and convenience stores.